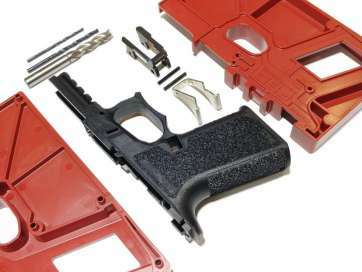 If your gun doesn’t fit your needs right out of the box, we’ll know exactly how to upgrade it. Guns are our business, and you can trust that we sell the very best in top-quality rifle and pistol parts and accessories. At Thunder Guns, we carry only the most trusted and reliable firearm components. You can have full confidence that with our kits and parts you can custom build a quality rifle or pistol that will work expertly for you. We offer the best in firearm add-ons, including firearm accessories from Magpul, one of the very best high-tech firearm companies in America. 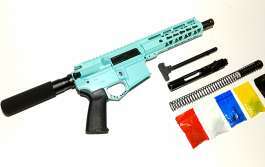 We stock and sell the parts and miscellaneous accessories that you need to custom build your firearm. Working with a pistol? A rifle? A trusty AR-15? We’ve got what you’re looking for to take it to the next level. Our expert team of sales associates has years of experience in helping gun owners create and customize their ideal piece of machinery. Don’t settle for something less than what you want. Thunder Guns strives to provide you with a piece of machinery that perfectly suits your needs. We’re not just gun parts sellers, we’re gun enthusiasts. We’ve got a knack for pairing gun owners with their ideal firearms, and we’re not satisfied until our customers are satisfied. 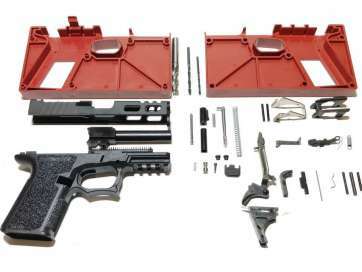 We offer only the highest quality gun parts for sale, including the best gun parts online, kits, and accessories in the nation, so that you can assemble a complete firearm that you’ll be proud of. Not sure exactly what your gun needs? We’ll help guide you. Our customers range from first-time gun buyers to people who give us a run for our money with their knowledge and experience, and either way we’re proud to support them through the entire process. Designing the perfect rifle or pistol is about more than just selecting the best-looking parts – there’s an art to building a completed firearm that serves as a seamless fit for your needs. And lucky for you, that art is our passion. Stop by our Daytona Beach location or view our products online and browse our ever-expanding stock of parts, kits, and accessories so that you can start building your ideal rifle or pistol today. We always love hearing from our customers. Here are a few of our reviews! Not all Gun Parts are created equal. Here at Thunder Guns, we have dedicated ourselves to providing our customers with the best quality gun parts, products and services for rifles and pistols since 2014. Thunder Guns is located in Daytona Beach, Florida, but serving customers across the US – Nationwide. Thunder Guns has a proven commitment to making sure our customers end up with a finished product that perfectly suits their wants and needs. We’ve got everything you need to create and customize a complete firearm, from kits and parts to add-ons and miscellaneous accessories, and our enthusiastic staff has the knowledge and expertise to guarantee that you end up with the ideal piece of machinery. We’re fully committed to helping our customers build guns that meet and exceed expectations. After all, it’s what we do best. 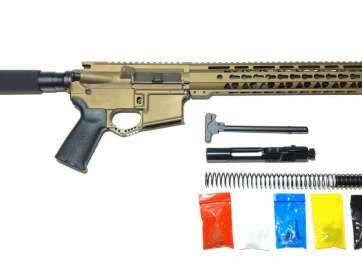 Looking for quality Gun Parts to customize your AR Rifle or Pistol Kit? Look no further than Thunder Guns / Thunder Tactical. Online or by phone: Call our sales and support line at +1 (386) 255-7860 M-F 8AM-4:30PM EST. What are the Biggest AR 15 Misconceptions?